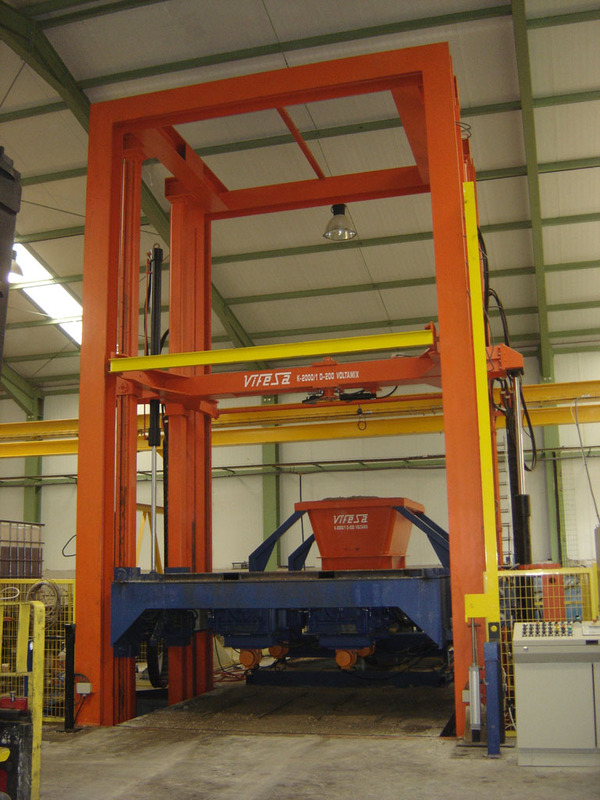 Vifesa alter getting into the production of egg laying machines with turning system, decided to start manufacturing a machine able to produce as well as pipes as special pieces as manhole bases, manhole raisers and register cones. 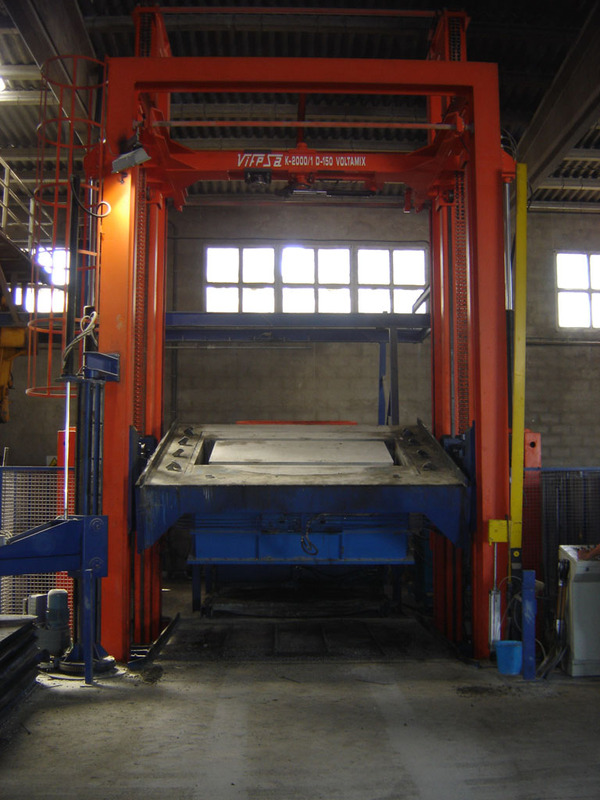 Additionally and once that machine designed we have incorporated a series of possibilities to be manufactured such as: manholes, curb stones, any type of concrete covers, barriers for high way and mainly all the pieces which need the turning system to be manufactured. All these pieces in small and large sizes, with multiple production for small size pieces. Inner vibration for the production of pipes and outer vibration for the production of special pieces with the turning system. We need steel plate to take away the concrete pieces from the machine to the curing area, carrying those plates with a trolley (fork lift). According to the model of the machine we will manufacture pipes from 15 to 150 cm inner diameter by 1 m to 2,50 m length and manholes and large pieces up to 2,00x2,00x2,00 m.
Maximum diameter for pipes 150 cm. Length 1.25 – 2,00 – 2,50 m.
Manholes large size up to 2,00x2,00x2,00 m.